Blog Can you hear the music? As many of you know, the experience of taking an adaptogen like TA-65 or RECHARGE often enhances the middle-of-the-night awakenings as a result of a more active reticular activation system functioning, I believe. So I always warn people that although we normally awake between 90-minute sleep cycles, we normally don’t notice it unless it is cold, loud, or we have to pee. 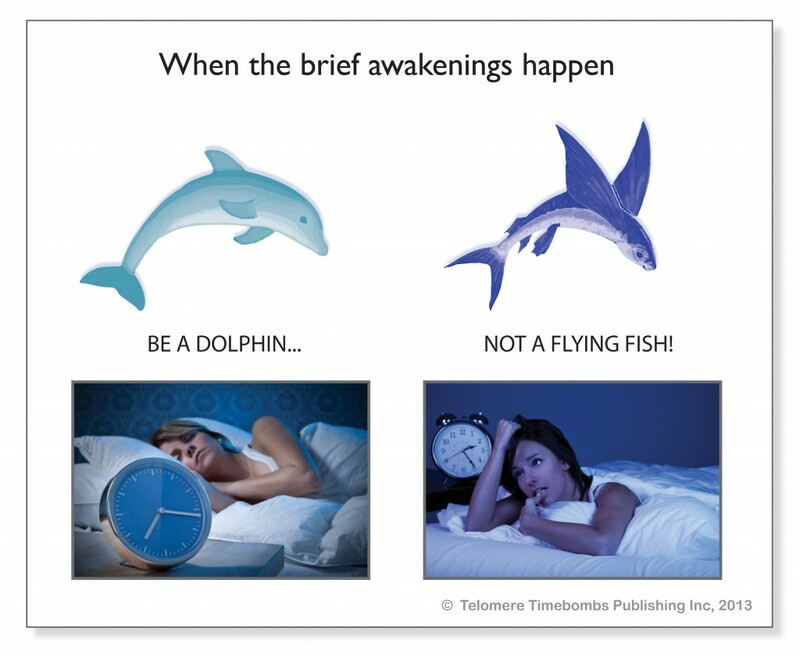 In contrast, users of adaptogens must get accustomed to waking up ‘like a dolphin’, expect it, and understand that it is proof of efficacy. Be a dolphin, not a flying fish. When I awake totally alert in the middle of the night I can be asleep within seconds because I don’t think it represents anything strange. Anyway, I have been amazed to realize that it takes a bit of effort to hear the music during these awakenings and even in the morning. I hear other noises in the room, but NOT THE MUSIC! Weird, right? If I concentrate, then I can start to hear it, and then it never goes away. 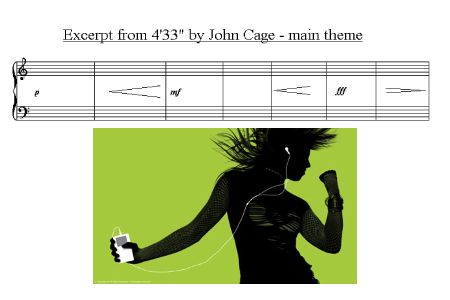 I realize that my consciousness is accustomed to completely ignoring the various sounds associated with the music as if they are part of the background “noise of consciousness”. For example, do you see your nose right now? Do you see the blind spot caused by your optic nerve? Do you feel your heart beating in your chest? Did you see the darkness when you just blinked? So it made me realize that much of what we experience in our thoughts is what our self-aware consciousness CPU interprets as relevant, especially in the netherworld between sleep and wakeful consciousness. There have been three female patients recently that complained of difficult sleeping and severe insomnia associated with adaptogen use. I realized that they all share three characteristics. 1) Their sleep dysfunction began with the birth of their children and they partook of extreme attachment parenting and high anxiety associated with checking their kids and making sure they were safe every few hours. 2) They all self-identified as extremely interested in things spiritual and the need to control ego. 3) They all attempted to resist daytime drowsiness and were convinced that once awake during the middle-of-the-night, they would have trouble getting back to sleep. I tried to explain to each patient who had ‘blamed’ the adaptogens for insomnia that the consciousness of the body under the influence of adaptogens becomes more assertive. If the body wants surface like a dolphin every 90 minutes or to slam you into a nap during the day to recover from sleep deprivation the night before, it will. The decision to not trust Dr. Park and their own ability to go back to sleep represents a personality type that is ironically very ego-heavy and cerebral. The act of going back to sleep is a surrender to egolessness, not an act of willpower, per se, and you can’t coerce the body into complying when the latter is empowered by adaptogens. What we all encounter throughout the experience of taking adaptogens, especially in the first 10-14 days of ‘disk defragmentation, is an unraveling of successive layers of the onion of self. Our subconscious conflicts demand to be heard during R.E.M. sleep. If we cheat ourselves out of 8 hours of sleep, the body shuts us down to “catch up” during inconvenient times. The desire to embrace egolessness and spiritualism may represent an intellectual attempt to overcome deeply-seeded neurotic tendencies to be in control but like the notion of focusing on nothing, it is an enterprise doomed to failure. He says this to the audience who is mean to Penny Priddy, who can’t hear the music because she is mired in her own misery. My point is that our ego-laden misery is really an over-identification with our own thoughts, not the reality of the situation. Whether it be in the quiet of my own bedroom or in a rowdy club listening to rock music, we can’t always hear the music because our attention is turned inwards and we are trusting our mind to do the perceiving. And our minds will can only construct a subjective reality approximation by filtering out 99% of reality. What’s worse is that our so-called “pain bodies” as Eckhart Tolle calls them, thrive on creating drama and feeding off of the conflict and bad energy. So what is my general recommendation with regard to wake and sleep consciousness? Stay aware and if you can’t, breathe. Experience the negative emotions but do not always put them first. And don’t think that those negative thoughts are your identity. We are constantly being bombarded with crazy notions and we must understand that we are NOT what we think or what has happened to us. P.S. 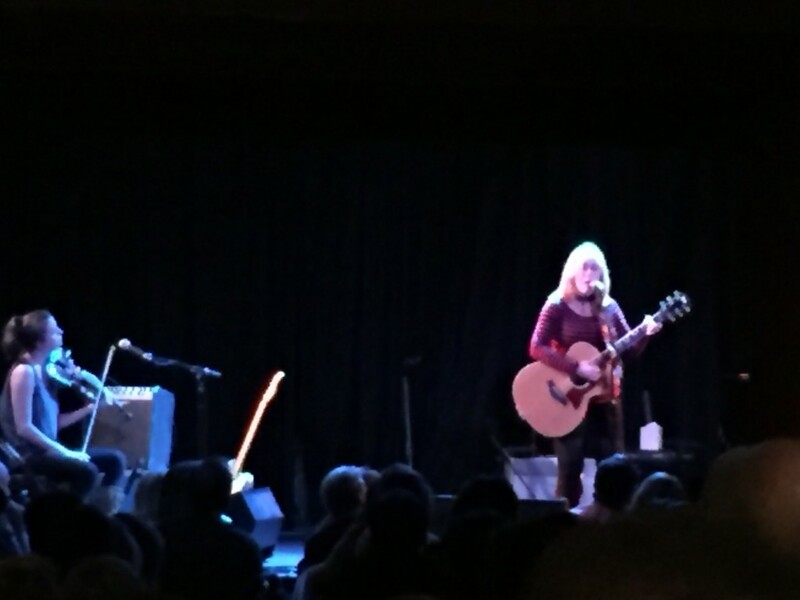 I wanted to blog about the Rickie Lee Jones concert I went to last week. I love her music because of totally fearless songwriting and performance and the show was sublime. Interestingly, she wavered between being a bit distant, as if she were afraid to fully engage emotionally with the audience that adored her, and then she became very candid and childlike. She confessed that she missed home terribly and that she forgot her favorite jeans so this was the first time that she ever wore short pants on stage. This is one of the most daringly imaginative and thoroughly fun movies ever made. Not a single cliche (unless it’s intentionally subverted for a laugh), mountains of utterly original moments, tremendous cast, and as many memorable lines, if not more, as Python and the Grail. The script is a masterpiece of smoothly handled craziness. A thinking person’s cult film, stuffed with odd clues and arcane references… to what? It’s like a cinematic Zen koan. Why does Penny Priddy have a copy of “Future History” in her purse? The concept of future history seems like an oxymoron but is an interesting one and it speaks to the notion that time may actually be an illusion and that it doesn’t travel as an arrow. Thank you, Ms. Jones for telling us that the stars do have personal meaning and that the world is a magical place despite all the madness that is perpetrated in it.